Deep Leads Electric Commission Power House was constructed for one of a succession of mining companies, all linked to a common ancestor, the Chalks No.3 Company. The original company had a huge lease which took in two converging deep lead systems. Over a period of 23 years, through various company reorganisations and amalgamations, there were a number of attempts to work the deep leads. Overall, these efforts were disastrous, with no less than £535,400 expended for a return of £253,520. In 1903, the Victoria Gold Estates Company, which was working the northern section of the Chalks No.3 lease, received an injection of English capital, which resulted in the formation of a new company; The Victorian Deep Leads Company. The new capital was also used to replace old steam-powered equipment with electrically-powered pumping machinery. This required the expenditure of 25,000 on the electrical equipment for a central power house, which was built adjoining the Charlotte Plains mine. The plant, run by the Deep Leads Electric Transmission Company, consisted of three sets of 400 Kilowatt generators of the revolving field type, direct coupled to 600 horse-power compound condensing engines. The power station supplied power for the last three mines to work the Moolort Deep leads: Victorian Deep Lead Company, Goldfields Charlotte Plains Consolidated Gold, and Loddon Valley Goldfields. The Deep Leads Electric Commission Power House is of historical, archaeological and scientific importance to the State of Victoria. The Deep Leads Electric Commission Power House is historically and scientifically important as a characteristic example of an important form of gold mining. Gold mining sites are of crucial importance for the pivotal role they have played since 1851 in the development of Victoria. As well as being a significant producer of Victoria's nineteenth century wealth, deep lead mining, with its intensive reliance on machinery, played an important role in the development of Victorian manufacturing industry. The Deep Leads Electric Commission Power House is important as a manifestation of this aspect of gold mining, especially notable for the adoption of electric power for gold mining. 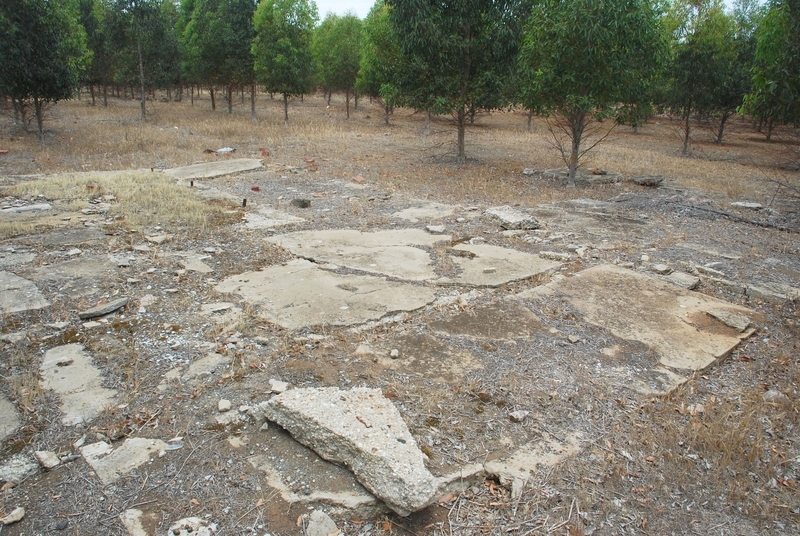 The remains of power stations associated with gold mining sites are rare in Victoria. 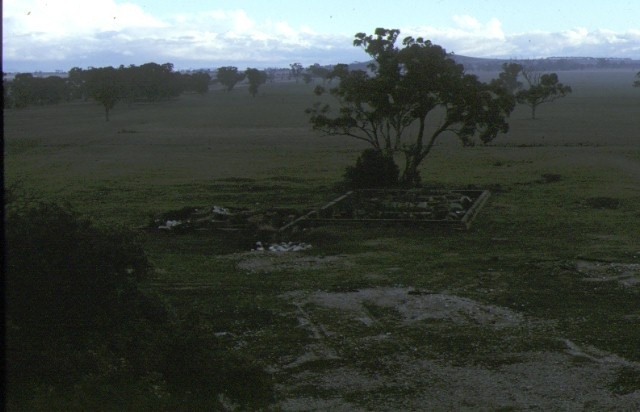 The foundations of the Moolort power station, alongside those of the Victoria Falls Power Station in Gippsland, are the best preserved in the State; unlike the Victoria Falls site, the remains of the Moolort power station survive in association with the relics of the mining operations to which they once supplied power. The Deep Leads Electric Commission Power House is also bound, through a maze of company reorganisations and amalgamations, to a number of neighbouring mines, in a 23 year history of working the Moolort deep lead. The group of mines contain the most extensive and diverse array of deep lead mining machinery foundations in Victoria, which contribute significantly to an understanding of the technological history of gold mining. House, Bald Hill-Baringhup Road, Moolort, Mt Alexander Shire Council. 1. 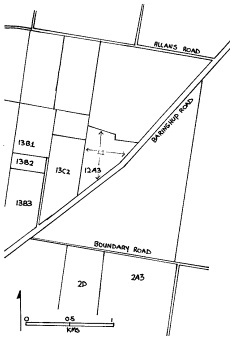 All the land marked L-1 including aboveground structures (concrete footings and generator-engine foundations) mullock heap and all archaeological features and artefacts on Diagram 608142 held by the Executive Director, being part of the land included in Section/Allotment 12A3 Parish of Eddington, County of Talbot. controls, and removal of fallen trees where necessary. not visible from the road. owner/s, in that part of the heap which is not visible from the road.